Virginia Woolf’s Writing Desk, Painted by her nephew Quentin Bell, c. 1929. Photograph by Annie Schlechter. The Sallie Bingham Center for Women’s History and Culture, the Center I founded with Professor Jean O’Barr decades ago, joins distinguished company. The Center, along with the John Hope Franklin Research Center for African and African American History and Culture, the Human Rights Archive, and the Archive of Documentary Arts, among others, are all part of the David M. Rubenstein Rare Book and Manuscript Library at Duke University in Durham, North Carolina. Since the Center’s founding, it has grown and bloomed, supported by the university and an extraordinary cadre of archivists who reach out to diverse women and persuade them to leave their papers in a place where they will be preserved, catalogued and made available to generations of students and the general public. 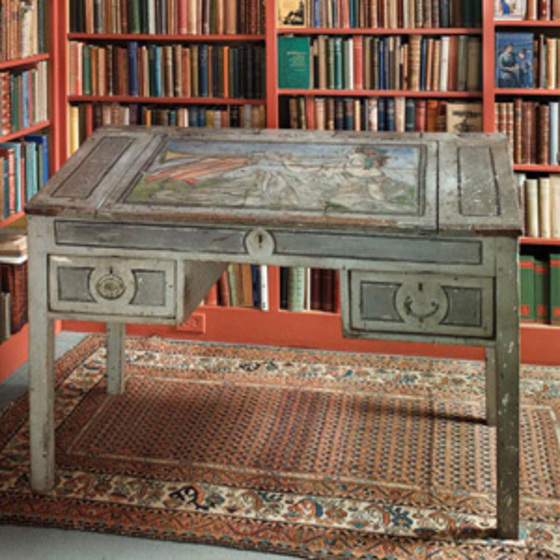 Highlights include the papers of Robin Morgan, Kate Millet, Dorothy Allison, and Minnie Bruce Pratt, Anne Bradstreet, Harriett Beecher Stowe, among many others—and Virginia Woolf’s painted writing desk. The Center also sponsors symposia on relevant issues of women’s sexuality, health, writing, religion and education. It all came about because during my long life as a writer, I heard many stories of women’s papers being consigned to attics or basements after their deaths, or even thrown into Dumpsters. Traditionally, the papers of well-known men have been preserved, but often a woman’s papers, if they are kept at all, can only be found buried in her husband’s collection and catalogued under his name. Single women, less well-known women, poor women, radical transformers of our society, and LGBTQ leaders and scholars often disappear entirely in a few short years after their deaths. I’ve often encountered women who are bewildered after having inherited a trove of a relative’s writing, not knowing how to evaluate it or where in the world it might be stored. Too often, our history is erased because what we wrote with pain and daring was not preserved. The seed was planted years ago when I realized that I needed to do something with my own papers and began a conversation with Robert Byrd, Jean O’Barr, and other noteworthies at Duke University. I remember how astonished I was when Bob Byrd journeyed to Louisville, where I was then living, to collect my first box of manuscripts, letters and news stories and carry it back with him on the plane to Durham. It soon became clear to me that I could not be satisfied with preserving my own collection alone. Too many other women did not have the access that was so precious and so essential to me. And so began my financial support of the center, supported generously by Duke, and the housing of the greatly increased and growing archive in the newly renovated Rubenstein Library. When I visit, I often see students deeply immersed in some part of a collection that might never have become available if the Center did not exist. I am blessed, and the blessing is shared with a large group of other women. 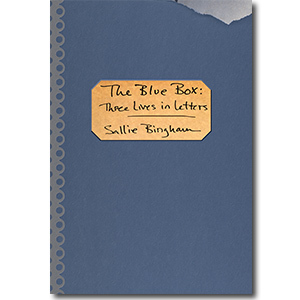 The Sallie Bingham Center provides travel grants of up to $1,000 for researchers whose work would benefit from access to the women’s history collections held at Duke University’s Rubenstein Rare Book & Manuscript Library. The application deadline for 2016 has passed. For more information on the grants, go here.